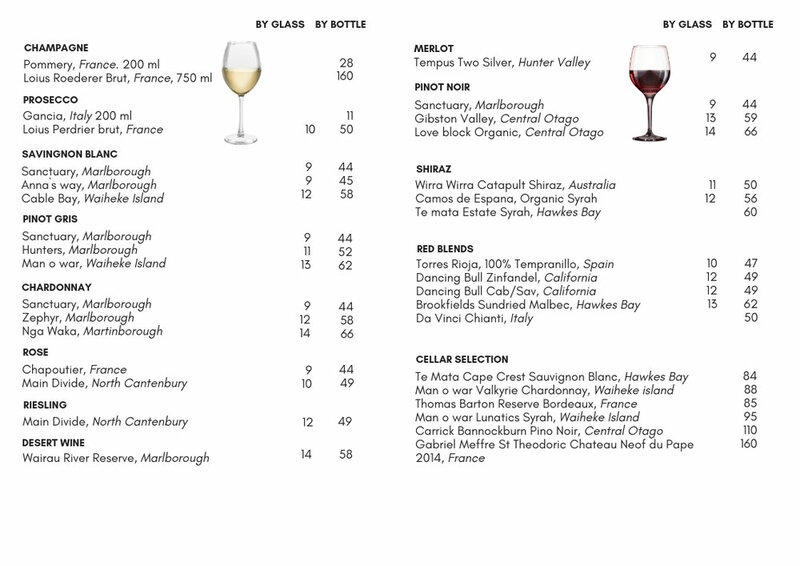 All the wines were properly chosen to delight your dining experience with. We have an impressive Top List of New Zealand and International brands. 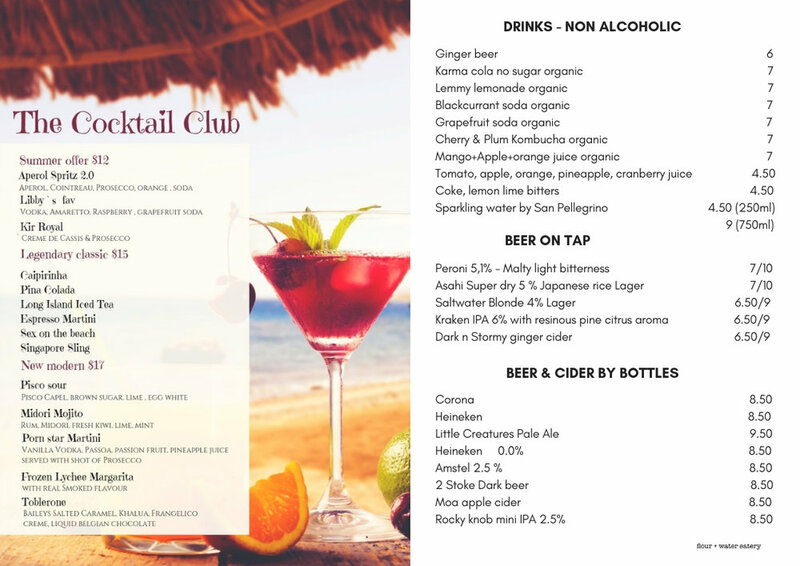 Start your afternoon at one of our sunniest spots sampling a delicious cocktail or a fresh craft beer.